→Probiotics for Cats – What Are They and Do They Work? Probiotics are the latest health fad. But do these work for cats? You may have noticed more and more ads for probiotic yogurts and supplements. These products might enhance digestive health and immunity. And some people swear by these benefits. Unfortunately, there is no clear data to show that probiotics work for cats. But, many veterinarians recommended probiotics as a safe, sometimes effective, digestive aid. In this post, we will dive further into the topic of probiotics. After learning more about probiotics, you can decide if they are right for your cat. Before we go any further, let’s discuss this fundamental question. What exactly are probiotics? Science doesn’t offer a clear definition. But probiotics are generally considered “good” bacteria. Cats (and humans) have millions of bacteria living inside their guts. And even though this sounds disgusting, some of these microorganisms are beneficial. Probiotic supplements are products that contain living or freeze-dried “good” bacteria. They are consumed as a pill, powder, or food product. Probiotic supplements deliver a large amount of “good” bacteria to the host. These good bacteria should colonize in the host’s gut and offer health benefits. So, probiotics are living organisms that offer health benefits to their host. And to be beneficial, the probiotic needs to be the same (or similar) to the host’s “good” bacteria. But don’t confuse probiotics with prebiotics. Prebiotics are a non-living food source for probiotics. They are not digestible. They only exist to feed probiotics, which will then produce more “good” bacteria. Some products contain both probiotics and prebiotics. However, this post is specifically discussing the benefits of probiotics, the live and active bacteria. Some studies show that the amount of “good” vs. “bad” bacteria in their gut affects an animal’s health. But, there are only a limited amount of probiotic studies. And most probiotic studies focus on the effects on humans, not cats. But, in theory, probiotics work to balance the amount of “good” and “bad” bacteria in the digestive tract. The probiotics colonize the gut and offer health benefits to the host. A healthy digestive tract is important for immunity and normal digestion. If the digestive tract is overrun with “bad” bacteria, health problems, like diarrhea and abdominal pain, might occur. Many people believe you must consume probiotics during antibiotic treatments. Antibiotics wipe out bacteria, both “good” and “bad”. So, taking probiotics during antibiotic treatment might help replenish the gut’s “good” bacteria. Others believe probiotics provide preventative benefits. By consuming a daily probiotic supplement, they hope to prevent future digestive issues. Probiotics could potentially help cats who experience hairballs and other gastrointestinal issues. But are probiotics safe? And do they work for cats? Let’s dig deeper. Are Probiotics Safe for Cats? Yes. But that doesn’t mean they work. Probiotics are a new fad. So there isn’t a lot of data on their effects. And there is even less data on their effects on cats. But good news, the limited available data suggests that probiotics are safe. Although their effectiveness is unclear, probiotics don’t harm cats. So, if you worry about your cat’s immunity and digestive health, consider probiotics. 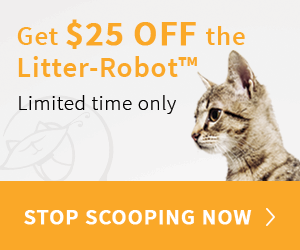 They are inexpensive, safe, and might improve your cat’s health. But, make sure you speak to your vet. They can determine which probiotic products are right for your cat. Do Probiotics Work for Cats? Unfortunately, there isn’t a clear answer. Science hasn’t answered this question. So, you will need to decide if probiotics are right for your cat. We do know that probiotics are safe. And they might provide benefits. But it’s unclear just how beneficial they are. The strongest evidence suggests that probiotics help reduce diarrhea in cats. But it has also been suggested that probiotics might reduce IBD symptoms. Probiotics might also help with immunity, gastrointestinal problems, and food allergies. But, only limited data suggest these benefits. If you want to give your cat a probiotic supplement, make sure you choose the right probiotic. If you give your cat an ineffective probiotic, there is no chance the supplement will improve their health. Choose a probiotic formula specifically made for cats. Store the product properly. And make sure your cat actually consumes the product. Ultimately, giving your cat probiotics is your choice. Since probiotics are safe, you might try giving this supplement to your cat. Then, you can determine if there are any noticeable benefits to your cat’s health. What are the Benefits for Cats? Again, we have limited data on the benefits of probiotics. Inflammatory Bowel Disease (IBD) is common in older cats. Symptoms include diarrhea, gas, vomiting, weight loss, and abdominal pain. The cause of this ailment is unknown. But, it might be caused by consuming unnatural commercial cat food over their lifetime. IBD symptoms are painful for cats and expensive for owners. So, many people offer daily probiotic supplements to their cats to help prevent IBD development. What are the Risks or Side Effects of Probiotics? Luckily, there are no major adverse side effects of probiotics. So, even though there isn’t a lot of data supporting their benefits, they are a safe supplement. Since probiotics work to improve gut health, your cat might experience gas or excess stool. Your cat’s gut needs time to adjust to the supplement. So, don’t worry if your cat seems gassy. After a few days, your cat should adjust and their stool and gas should return to a normal level. But, if their system does not seem normal, talk to your vet. However, it is uncommon for probiotics to cause any problems for your cat. They just need to get used to the supplement. So don’t overwhelm their system with too many probiotics. Start with a small amount to give their body time to adjust to the extra bacteria. How do you Store Probiotics? Improperly stored probiotics can lead to problems. Make sure you follow the storage instructions on the product’s label. Probiotic products often contain live bacteria. Heat kills bacteria. So, you should refrigerate most probiotic products. But, some products contain freeze-dried probiotics. These products don’t need refrigeration. Follow the label’s storage instructions. You want to make sure you store probiotics correctly so they will work for your cat. Feeding dead probiotics to your cat is ineffective and a waste of money. How do you Give a Cat Probiotics? Consult with your veterinarian before giving probiotics to your cat. The vet can determine the best probiotic option for your furry friend. Some vets recommend providing probiotics as a daily supplement. This could help maintain your cat’s healthy digestive and immune systems. Others recommend providing probiotics when your cat is on antibiotics. Antibiotics wipe out bacteria. But they don’t discriminate between “good” and “bad” bacteria. So, probiotics might help replenish your cat’s “good” gut bacteria. There are many varieties of cat probiotics, including treats, powders, liquids, pills, and pastes. You can hide pills in food or treats. Sprinkle powders on your cat’s food. If your cat doesn’t like probiotic-infused foods, consider a liquid or paste. Squeeze the liquid probiotic right into your cat’s mouth. In the next section, we will dive deeper into the varieties of cat probiotics. Hopefully, this will help you decide which (if any) probiotic is best for your cat. Can you Give Human Probiotics to Cats? Humans and cats each have a unique microflora. Their guts contain bacteria specific to their species. So, human probiotic supplements contain bacteria that match their microflora. Human probiotics are generally considered safe for cats to consume. But, they might not work. The human gut is different from the cat gut. The bacteria in each are unique. So, human probiotic supplements are specifically designed to aid human digestion. No cat digestion. For best results, choose a cat specific probiotic supplement. This will ensure that your cat receives bacteria that works best for their system. Talk to your vet. Choose products designed for cats. Look for probiotics that contain Bifidobacterium and Enterococcus. If the probiotic supplement doesn’t contain the right bacteria, it won’t be effective. So, if you give your cat probiotics, make sure they contain the “good” bacteria in your cat’s gut. Look for Bifidobacterium and Enterococcus on the probiotic label. Bifidobacterium lives in your cat’s small intestine and works to maintain normal digestion. Enterococcus lives in the large intestine. It helps maintain your cat’s colon. Without these strains, the probiotic likely won’t benefit your cat’s health. Ok, let’s look at a few cat probiotic products. PREMO Probiotic is a concentrated probiotic formula made specifically for cats. This powder is easy to use, since you can sprinkle it on your cat’s food. This eliminates the difficulty of feeding your cat a probiotic treat or pill. PREMO Probiotic is veterinarian approved. This product only contains natural products. There are no added fillers. The main bacteria cultures included are Bifidobacterium and Lactobacillus. This product also contains the prebiotic Inulin. Prebiotics are food for probiotics. So the prebiotic in this product can feed probiotics, which will lead to new bacterial growth. Your cat might experience immediate health benefits after consuming PREMO probiotics. But, if you don’t notice any changes, wait 6 weeks to see the full results. PREMO Probiotics can help relieve your cat’s diarrhea, upset stomach, and IBS symptoms. FortiFlora is a feline probiotic supplement. Sprinkle this powder on your cat’s food to ease their digestive issues. ForiFlora’s powder comes in individual pouches. This helps cat owners put the right amount to their cat’s food. It can be used as a daily supplement. This product contains a live culture of the Enterococcus bacteria. Since it is a live probiotic, refrigerate the product. Veterinarians highly recommend this probiotic. It can help ease your cat’s digestive issues and boost their immune system. MaryRuth offers a liquid probiotic for cats. This product is organic and plant based. It is vegan, soy and nut free, and non-GMO. Use the product’s dropper to put the liquid on your cat’s food, in their water, or inside their mouth. It is clear and unflavored, so your cat shouldn’t notice the probiotic in their food. Formulated specifically for cats, this probiotic includes Bifidobacterium, Streptococcus, and Lactobacillus bacteria strains. This liquid probiotic can help improve your cat’s immune health and digestive system. Ultimately, it’s up to you to decide if probiotics are right for your cat. Probiotics are safe. There are no major side effects. But they are not always effective. If your cat is experiencing digestive problems, consider giving them a probiotic supplement. It may help resolve the issue. At the very least, it won’t hurt. Speak to your vet to determine if probiotics are right for your cat. For best results, choose a cat specific formula and always properly store probiotics. Have you given probiotics to your cat? Were they effective? I would love to hear about your experience. Please feel free to leave your story in the comments below.